I hope you all had a very lovely Valentine's Day full of pretty, sparkly things! Since February is the month of love, I wanted to share with you my newest love....The Caramel Jar!!! I stumbled across my new friend Nicole's shop while on facebook and thought since I was her newest fan it only made sense to buy some caramels right? 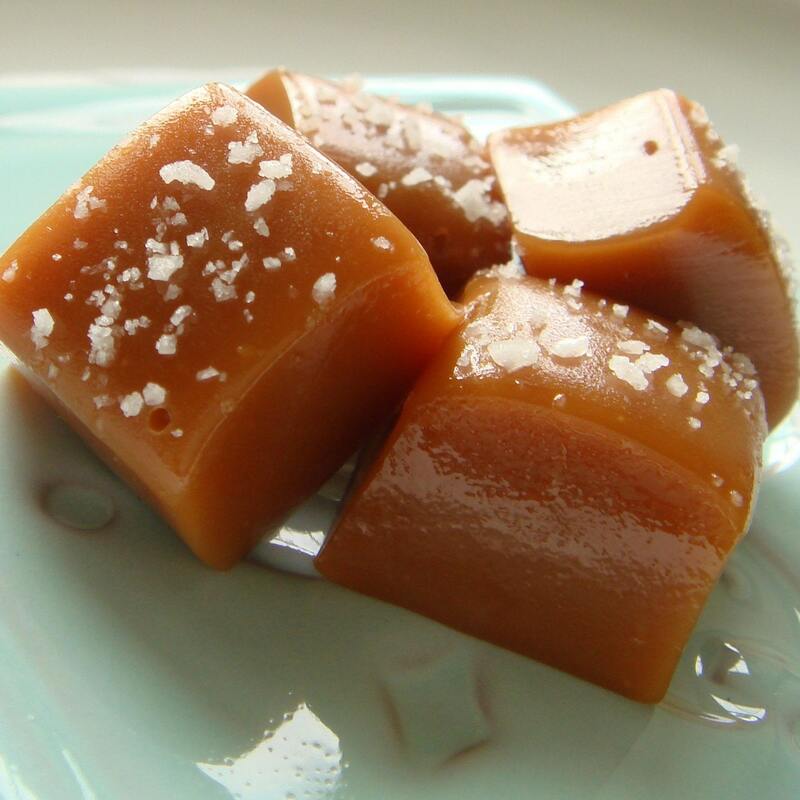 This is where my love affair began...with her AMAZING Fleur de Sel Caramels! It's no secret that I am addicted to sweets...I mean I eat cookies for breakfast...a lot...but I literally ate my sample of caramels in about 27 seconds, and then was really sad that I didn't order more lol;) The best part is they come wrapped like little presents. Each caramel is carefully wrapped in eco-friendly candy wrappers and then either placed in eco-friendly bags or a reusable mason jar. Topped off with a pretty ribbon and a lovely little note makes the experience just perfection. I've sent these as gifts to quite a few people and Nicole will even ship to their address with a cute little note if you like....and she won't make fun of you when your notes are totes cheesy (because mine always are). Nicole, who lives in PA, makes all of her caramels by hand and has been in business for less than a year, but already has over 1,000 facebook fans and almost 1,000 sales on etsy! Obviously everyone is as obsessed I am! Whether you're looking for an unexpected gift, the perfect wedding favor, or just a little treat for yourself, The Caramel Jar is most definitely the way to go! Indeed delicious! Beautifully packaged too!